Designing a car that people like can be a very tricky thing. There are so many details to consider and since you can’t put everything you possibly can in one car, it can’t be helped that some features that buyers want in a car aren’t in certain models. With this said, it makes sense why the Toyota Motor Corporation, the biggest automobile carmaker in Japan, would produce cars through more than one brand. The Toyota Motor Corporation makes use of Toyota, Hino, Lexus, Ranz, and Daihatsu. Among these 5, the creations of Daihatsu would probably the one that stands out the most because of how it’s designed to look like a retro car while all others try to make their cars as modern-looking as they can get. 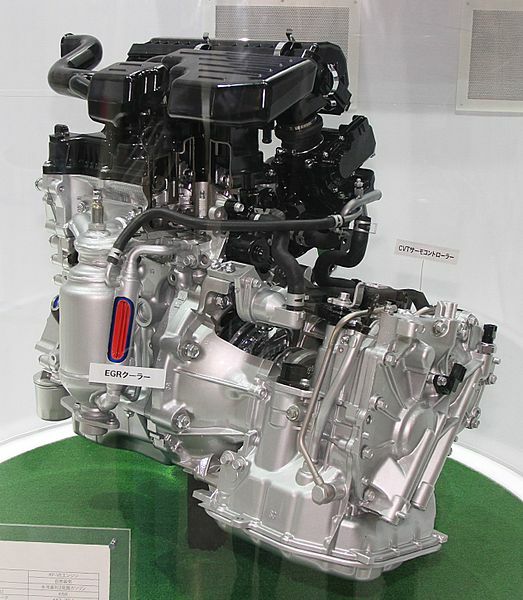 Surprisingly, not a lot of people know that Daihatsu has been in business for over 111 years in Japan and this makes it one of the oldest surviving Japanese companies that are involved in manufacturing the internal combustion engines of Japan. During the company’s founding in the year 1907, it was introduced to the public as the Hatsudoki Seizo Co. Ltd. They didn’t make automobiles back then because their company focused on developing other useful machines like gasoline-powered engines that would be used for power plants. They were also involved in the production of steam engines for the JNP or Japanese National Railway as well as the production of the rail carriages that these trains would need to transport passengers and other goods. Their involvement with these engines eventually led them to compete with Yanmar for a while as a manufacturer of railroad diesel engines. The company renamed itself in the year of 1951 as it changed from being known as the Hatsudoki Seizo Co., Ltd. to being known as the Daihatsu Motor Co., Ltd. This newly renamed company would try exporting their car models in the 1960’s to Europe but the European market would, unfortunately, notice their goods a little less than 20 years later. While this was happening, in 1967, Toyota Motor Corporation decided to initiate a cooperation of some sort between the two companies by buying shares in the company to be a shareholder. Daihatsu accepted the terms of their partnership and by 1971, their partnership would bear fruit in the form of the first generation of Daihatsu Delta trucks. It wasn’t a pretty automobile but it was a powerful and useful one as it was able to carry an astounding weight of 6 tons. Their efforts in developing efficient diesel engines were definitely not lacking and it paid off as Daihatsu began to supply these engines to a Portuguese company called SEMAL. This company intended to use the engines for a 4WD off-road vehicle series they were to release known as the PORTARO. A couple of years after this venture, Daihatsu would decide to shift its focus to car making. As a result, Daihatsu entered their Charade model into the US market in the year 1987. A year later, in 1988, Daihatsu added their car model called “Rocky” along with the “Charade” to attempt to gain buyers from the US market. It looked like it was all working out for Daihatsu until the year 1992 wherein they shut down all sales in the US as well as the production of the car models specialized for the US market. It seemed like a risky move because all the other automobile manufacturing companies were growing quickly during these years but luckily, they had Toyota backing them up so they were able to remain stable. In 1998, Toyota Motors Corporation would once again but more shares of Daihatsu Motor Co., Ltd, and this time around, Toyota bought enough shares to be the majority shareholder of the company. This meant that Toyota had a powerful control over the decisions and activities of Daihatsu. This proved to be a good idea because, by 2011, Daihatsu found itself investing 20 billion yen or nearly 240 million US dollars into Indonesia for a factory that was to produce low-cost cars which were smaller than Toyota’s Etios. This cheaply priced car was sold for a reasonable amount of PKR or Pakistani Rupees and that is why it was able to do well here. By the year 2016, Toyota would have bought out all other shares of Daihatsu which made Daihatsu a wholly owned subsidiary to Toyota. Some people thought that this was a sign of failure on Daihatsu’s part but it was actually the opposite because, until this day, their brand is alive and well thanks to the guidance and support that the Toyota Motors Corporation was able to give Daihatsu through the years. They continue to make retro looking cars and if those types of cars are your thing, you should definitely check out some of their latest models. Daihatsu has been around for a really long time so it is not surprising for them to have thought of several magnificent designs and actually realized them. A good example of such a Daihatsu product is Daihatsu Move. This car is a kei car that is a 5-door hatchback. It comes in either a 5-speed manual transmission or a 5-speed automatic transmission. You should know that the kei car is a class of its own because its specs were initially meant to reach the minimum requirements to get on the highway. In other words, it is the least powerful kind of automobile. They might not be made for speedy driving but they are incredibly fuel efficient. These kei cars still use petrol and gasoline as a source of power and the recorded fuel economy of the latest generation of this model was an amazing 31 kilometers per liter (km/h). Daihatsu also offers the Mira and, unlike the Move, this model goes by many other names. It is also called the Daihatsu Cuore, Domino, Handivan, and even the Subaru Pleo. It has been in production since the year 1980 and continued to be produced by Daihatsu. The latest model of the Mira is specifically called the Daihatsu Mira e:s LA350S but it also goes by the names of Toyota Pixis Epoch and Subaru Pleo Plus. It has a 658 cc KF-VE I3 engine and makes use of a CVT transmission that isn’t common in all Daihatsu kei cars. It might also be useful to note that these kei cars, on average, have heights of about 1600 mm. Some models may be higher or lower than this but only by about 20 cm at most. There is also the Daihatsu Tanto, which is a model that has been in production since the year 2003. Its tall body was said to be inspired by the previous Daihatsu Move but in addition to the tall body, the Tanto also offers you a sliding door on the left side of the car instead of a regular door. This is a plus because have a sliding door gives you flexibility in what you can fit into your car. It runs with a 659 cc petrol engine that it comes in either a 3-speed transmission or a 4-speed transmission. A cool fact about this model is that, in 2005, it showcased a customized FCHV, or fuel cell hybrid vehicle, version of this car by equipping the model with a hydrogen tank and electric motors to aid in power production for the vehicle. Kei cars may not be cars that are equipped with the maximum specs available but the Daihatsu Copen will send you a different message because of how sporty it looks. This model is still a kei car but it has a body of a 2-door roadster. It first hit the market in the year 2002 but there was a period between the years of 2012 to 2014 wherein the production of this car stopped. Luckily, in 2014, it can back better than ever with a KF engine that is intercooled and turbocharged and a recorded fuel consumption of only 4.5 L/ 100 km or 63 mpg. The version of this car with the manual transmission makes use of a KPMZ 5-speed transmission while the automatic version makes use of a KBPZ CVT transmission. Another notable Daihatsu model is the Daihatsu Wake. This is a special one because it is the highest kei car of Daihatsu as it provides an interior cabin height of nearly 1500 mm. it started production in 2014 and much like the other models of Daihatsu, this too has a couple of other names that it goes by. These names are the Toyota Pixis Mega and the Daihatsu Hijet Caddie. You can either get this car with a KF-VE engine or a KF-DET engine but for those who don’t know what either of that is, knowing that it comes in CVT automatic transmission should be enough to let you know that it is easy to drive. Do not mistake the Daihatsu Hijet Caddie with the Daihatsu Hijet because they are two completely different cars. The Hiject is a cab over microvan that can also be considered as a pickup truck in some occasions. This car has been in production since 1960 and throughout those years in production, it has gained the most names amongst most of Daihatsu’s cars. To mention some examples, there are the likes of Daihatsu Atrai, Extol, Gran Max, Hi-Max, Luxio, and Zebra. Of course, these all don’t pertain to the same model. Some of these names refer to the first generation of this car while the others may pertain to the remaining 9 generations of this car as well as the variants. So far you’ve heard about the kei cars and minivans that Daihatsu has produced throughout the years. You should also know that they have made some good SUVs too and you need not look farther than the Daihatsu Terios to believe this claim. This SUV model started production in the year 1997 and it has been on the market since then as well. The first generation of this car was produced from 1997 to 2006. The second generation then went on to be produced from 2006 to 2017. With this said, the latest version of this car is the 3rd generation which hit the market in late 2017. If you have a hard time finding this model, you should remember that this model is also known as the Toyota Rush. If you happen to be looking for a crossover between an SUV and a kei car, you are in luck because this is exactly what the Daihatsu Cast is. It started production in September 2015 and it currently can come with either 4WD capacity or front-wheel drive capacity. Since it is an SUV, it being available with 4WD should be a huge bonus for buyers in the market and along with its CVT automatic transmission, the deal for this car just got sweeter. It is also pretty sporty looking despite being a kei car that is considered to be a crossover SUV and that is a good thing. There are many other amazing car models Daihatsu made like the Dbala and the Uplog but from the models that have been discussed, it should be clear and believable that Daihatsu is a decent brand that offers a unique variety of automobiles to the industry. If any of the details and news above grabbed your interest, all you need to do is look for which model you’d like on your phone and, just like that, you can already to get your new car retrieved at the Daihatsu dealership nearest to you. You certainly still have to pay and go to the proper process and documentation but once you have what you want in your mind, Daihatsu should and will be able to give you what you want with no hassle at all.